Beth is very professional and responsive. She communicated clearly her knowledge of the local market and sold my property within sixteen days. I really appreciated her dedication and attention to every detail. It was a pleasure working with her and I would highly recommend her as a seller agent. Beth is an extraordinary agent. She returns calls promptly, handles other agents with professionalism, very competent with directions. Beth was great! She helped us find exactly what we were looking for right where we wanted to be. She got us in touch with the right people to help us get our loan and was always 100% available when we needed her. She sent us new listings daily, and didn’t waste our time with homes she knew we wouldn’t like. She made it as easy as it could possibly be to find a new home and I would recommend her to anyone. If we are ever in the market to buy another home we will definitely be calling Beth to help us again. Thanks again for all of your help Beth! Beth is awesome! My house hunt took over a year to come to fruition and I couldn’t have found a better realtor to help guide me along my way. I have to give Beth a 10+ for her patience when I chose a short sale house after looking at many others. Her perseverance when it came down to dealing with bad real estate personnel to close the deal, her attention to detail never wavered and I trusted her completely. But besides all that, Beth opened her home to us when I didn’t have access to the internet or fax to send documents to the lender. No matter what time of the day, her kind-heartedness was always appreciated and for that she is now part of our family. Anyone buying or selling a home would do well to have Beth represent them as she goes above and beyond the call of duty! Beth was very quick to respond and informative of showings and feedback. She was experienced and even provided guidance to the buyer’s agent with our agreement. I’d recommend her and work with her again. Beth is a gem. We feel very blessed to of had her as our agent. She was professional, always prepared, extremely fast to respond, punctual, and patient. We walked through many homes before finding our dream home. Beth always gave her professional and honest opinion. Her willingness to help was impressive. We once drove by a house many miles from where she lived. We asked if we could se it, and she was on her way to meet up. I highly recommend working with her, she will help you find your dream house. We couldn’t be happier. Beth found us the perfect home. It took awhile but she was diligent and fully committed to help us find the house that met our requirements within our budget. I would highly recommend her - she produces results! Beth was tremendous and patient! We took awhile to find the place we wanted and Beth supported us during the whole transaction. She always kept us up to date and gave us advice when needed as this was the first time we've bought a home. You would be hard-pressed in finding someone more dedicated in finding exactly what you wanted. Even after the sale she supported us and worked with the seller when we found some items amiss. Excellent agent, and have recommended to friends! I just recently bought a condominium through Beth and she helped me out a lot. As a first time home buyer, I wasn't very knowledgeable about everything and she walked me through everything and every time I had a question or concern there was no hesitation from her to get back to me with an answer. I would totally recommend her to anyone. Beth helped us get through a difficult sale negotiation and closing process; without her I think we wouldn't have closed on the house we really wanted!! Being first time home buyers and not extremely familiar with the area, Beth was great to work with. She was extremely patient with my husband and I, who would want to see every house on the market that met our criteria before we made an offer. After a short time it became obvious that she works hard for her clients and enjoys doing it. My husband and I were especially impressed with her availability and commitment to finding us our first dream home. From the beginning of the process, all the way through to the last paper signed she demonstrated extensive knowledge and did a great job explaining each step of the way. But also excelled at coordinating with the seller's agent involved in our transaction and communicating updates quickly so we always felt well-informed. Her excellent network, in combination with experience, availability, patience, knowledge, and great personality allowed us to find our first dream home with little stress. We highly recommend working with her! Beth was very patient with my change in criteria and did a great job in providing me additional listings from Edgewater to Crownsville. Beth found numerous houses that were important in my house preferences. She was good at getting documents prepared and signed, all parties aware of all activities, and making sure she covered all the bases. Beth kept in very close contact throughout the entire process of my home purchase, and quickly addressed any concerns I had to resolve them or found someone or could!! Beth was not only professional and able to help in any and every way, but she was also very down to earth which made it easier to go through my very first home purchase. I have met other agents that just seem stuff and make everything less comfortable. Thanks Beth! You were great! Beth was professional and a pleasure to work with. Beth made every effort to help with our property search. I would recommend her to anyone looking for a home. Beth did an excellent job of working with us through email from our home in Alaska, so that during the 5 days we were in Maryland, we were able to only visit houses that we already liked. We didn't have to waste time with houses that wouldn't work. Once we made our decision, Beth worked at all hours to communicate with us (4 time zones apart) and guided us through the purchasing process. We would definitely work with her again. 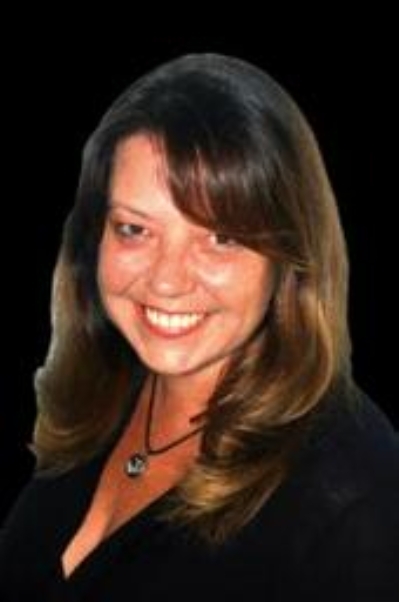 I first met Beth 3 ½ years ago when she contacted me due to an online search alert she had receie while I was browsing homes in the Annapolis/ Eastern Shore region. Though our planned retirement and relocation was long delayed, Beth stayed in touch and provided me with an ongoing stream of possibilities. When our home in Upstate NY finally sold at the end of this September, Beth’s response was immediate. We sold on Monday, I sent her 10 to 12 properties we would like to view, she cleared her calendar and we spent that Thursday and Friday visiting them with her…. A breeze to do because, through Beth’s constancy of attention, I already knew what we wanted and where. When we walked into the last house on the list… we knew right away it was HOME! As we went to our cars, we told her we wanted to make an offer right away. That was when Beth’s true professionalism and competency really kicked-in. Every step of the way, from that moment in the driveway, she “had our backs.” Negotiation, home inspection, mortgage options, title work, hand holding in the bumpy times, dealing with the sellers and their Realtor and closing were made so much easier with Beth’s representation. This was so far beyond our previous experience with other Realtors that Beth’s talents were showcased even more. Beth Costello will always have our glowingly confident recommendation for any friends or family who might need her services. She is calm, loyal, tenacious (when required), professional, knowledgeable, personable and a very fine young woman. She represents herself brokerage and herself exceptionally well. Should we ever need a Realtor again, we would use no one else! I had a budget and was looking for the type of home that I wanted in the areas that I thought I could find one. She actually found one in a better neighborhood that fit my spending limit, nice find. She knows the area she sells which worked out very well for me. Is the best Realtor ever. She doesn't try to sell you any house. She sells the house that is right for you. She is very responsive and doesn't mess around with selling or buying. My husband and I have been very lucky to have Beth as our realtor. Beth is a great agent! I would highly recommend her. She grew up in the area and knows it well. She is very competent and responsive. She was so patient with us, and we really appreciate the time she spent and the expertise she brought to the table. Beth was a pleasure to work with!!! I couldn't be any happier with her. She made sure to include me in everything and made sure the deal was going to take place. Thanks, Beth, for all of your help!! She is a knowledgable realtor. She knows the area and provided me with multiple possible homes to purchase. I missed out on some homes but not because of her. I finally found one I was interested in and qualified for and went to settlement. She is very responsive and always maintained a good attitude even though it took a long time to find the right home for me. I liked her website originally but it has changed recently and could be improved upon. I would recommend her anytime. I thank her for being patient and understanding of my needs and concerns with the home buying process.